The affordable Epson Stylus Photo R280 Ultra Hi-Definition Photo Printer is the fast, easy way to print brilliant, 4 x 6" photos or text documents. 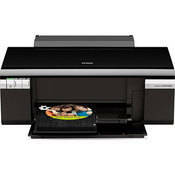 It delivers amazing results, when printing anything from family photos to web pages and more. Canon's FS-11 16GB Hybrid Flash Memory/SDHC Camcorder is the top-of-the-line offering in their standard definition flash memory family. This lightweight camera fits right in the palm of your hand and is perfect for traveling or capturing video on-the-fly in the midst of your daily routine. 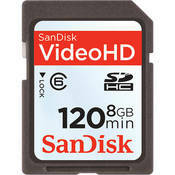 Record to the internal 16GB flash memory for up to 10 hours and 25 minutes. Utilizing the removable SD/SDHC cards (sold separately) keeps things simple by allowing you to upload your footage to your PC for emailing, printing and sharing on sites like YouTube in no time at all. 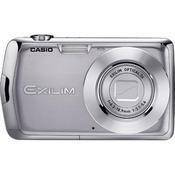 The Casio Exilim EX-S5 Digital Camera can produce high quality images with a resolution of up to 10 megapixels for stunning prints with lots of detail. 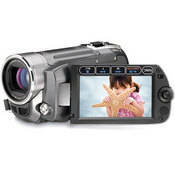 The camera can also capture still images and video in the popular 16:9 widescreen format. Add to this the cameras 3x optical zoom lens, extensive exposure settings, and easy to use Best Shot Functions along with the specialized YouTube Shooting feature - all in a compact camera body that is less than one inch thick, and you'll have an incredibly versatile camera that is ideal for travel, business uses, or just about anything. The High-performance SanDisk 8GB Video HD SDHC Memory Card is optimized with fast speed and high capacity to record HD videos, so you can get the most from your flash-based HD camcorder. Capture and store beautiful, detailed video content with the flexibility to record at multiple levels of quality, up to and including HD video, or at your camcorder's highest setting, and the capacity to let you keep recording memories as needed. The SAMSUNG T240HD HDTV monitor looks more like artwork than a high-performance video display. It features revolutionary Touch of Color, a built-in full HD 1080p digital HDTV tuner, so you can watch both TV and HDTV, and 10,000:1 dynamic contrast ratio for sharp images. Beautifully designed, the T240HD is unlike any monitor youve ever seen. Make a statement with SAMSUNGs new Touch of Color design. It features a hint of color naturally blended into the traditional piano black frame. Transforming our already stylish monitors into a work of art, it truly is unlike anything youve ever seen. The sound quality is just as impressive as the picture. An invisible speaker system with stunning Dolby Digital surround sound lets you experience the thrill and excitement of movies, music, games. The T240HD is designed to be extremely efficient and uses up to a third less power than other monitors in its class. The unique SoftPower off function lets you put the T240HD in standby mode right away, using just 0.3W of power. The T240HD features a built-in full HD 1080p digital HDTV tuner, so you can watch both TV and enjoy the benefits of high-definition entertainment. Two High Definition Multimedia Interface (HDMI) connections make your monitor a multimedia centerpiece and let you easily and conveniently connect your other digital devices. The contrast between light and dark colors on the screen is what makes images stand out. The bigger the difference between light and dark images, the more vibrant images will appear. With an amazing dynamic contrast ratio of 10,000:1 youll enjoy sharper image quality thats sure to catch your eye. Subscribe to our RSS feed to receives updates as deals appear. Get New iPhoto 09 for your Mac! Use links below for quick access to the best deals at various sites. Mozy Online Backup - Protect your photos! 2GB free to try! While we thrive to provide the most accurate information possible, errors will inevitably occur. If you click on a link and don't find the "promised" deal, the site in question may no longer offer it or may have run out of inventory. Some deals are just too good to last! buy.com - $10 off $200 Digital Cameras and Electronic Stores!